In Final Fantasy XIV, the game lets you level all jobs on the same character and switch back and forth whenever you want. Most of players thinks of this as a Final Fantasy game rather than a typical MMO. The story is quite enjoyable, and you will be missing a ton if you just skip through quest text. Final Fantasy XIV is one of the new few MMOs where the story is pretty good. It has its high moments and really low moments. Pleasingly, you are excited to obtain more Final Fantasy XIV Gil. 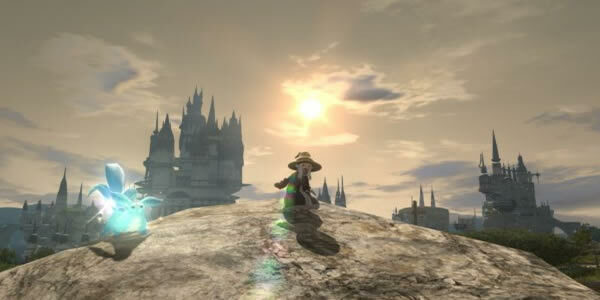 When you join Final Fantasy XIV, or if you have taken a break for a substantial period of time, you will be invited to here to know more: https://www.ffxiv4gil.com/. In the game, as you continue with the Stormblood tale, you will face a mandatory dungeon at level 61: The Sirensong Sea. This is the time to learn about dungeon running and pay a visit to the Hall of the Novice, if you have never done it before. Final Fantasy XIV is one of the most welcoming MMO's I've played, and provides content for all levels of player to enjoy. The most important thing now is to enjoy your time in Eorzea and Stormblood's Far East- take your time, find what path suits you best and dig in. Players will be able to depart from the shores of Eorzea for the very first time, travelling to the Far Eastern lands of Doma and Kugane as they fight to liberate those lands oppressed by the Empire. Notably, there's plenty of content to explore which means you will be needing Final Fantasy XIV Gil aplenty both during and after your play through the expansion. This is something I have been struggling with for some time now with regard to Square Enix's wonderful MMO Final Fantasy XIV. You can plan now and be ready when Stormblood launches and demand is at its peak. Do you plan on visiting FFXIV4Gil? There are a wealth of news and updates at here, click here to know more.